If you're like us, Canadian Thanksgiving always catches us off guard. With last weekend all involved with design here in Vancouver, this week has us playing catch-up. 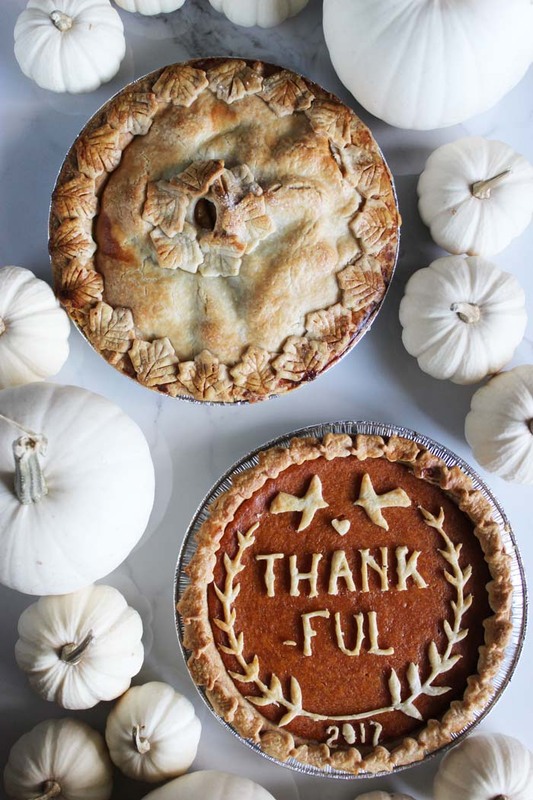 And let's face it, we can't always be Martha Stewart (natch), so cue store pies for Thanksgiving. Not always the best plan, but desperate times call for desperate measures. So to make them just a little more special, we came up with a couple hacks that might save the day. 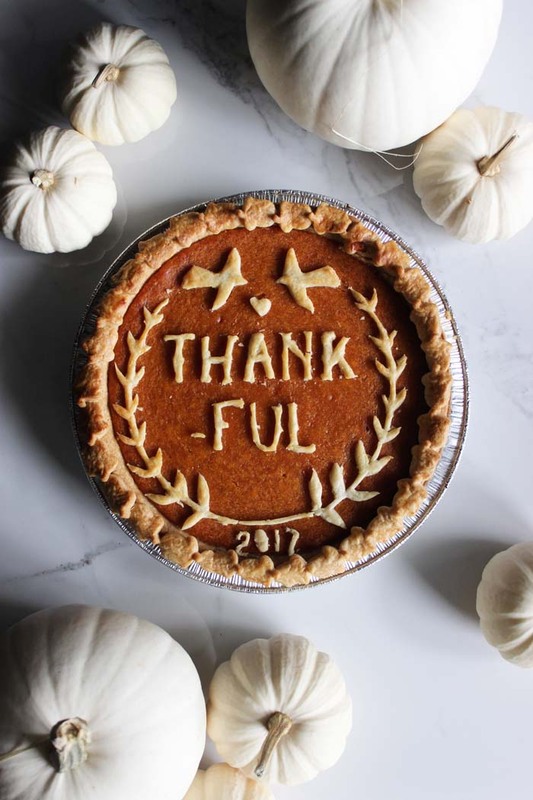 One uses a stencil-style template that we designed and you can print out to trace out onto a store bought pie shell, and the other uses a leaf cookie cutter. Let's take a look (also check out our instagram video - see below - for the demo). 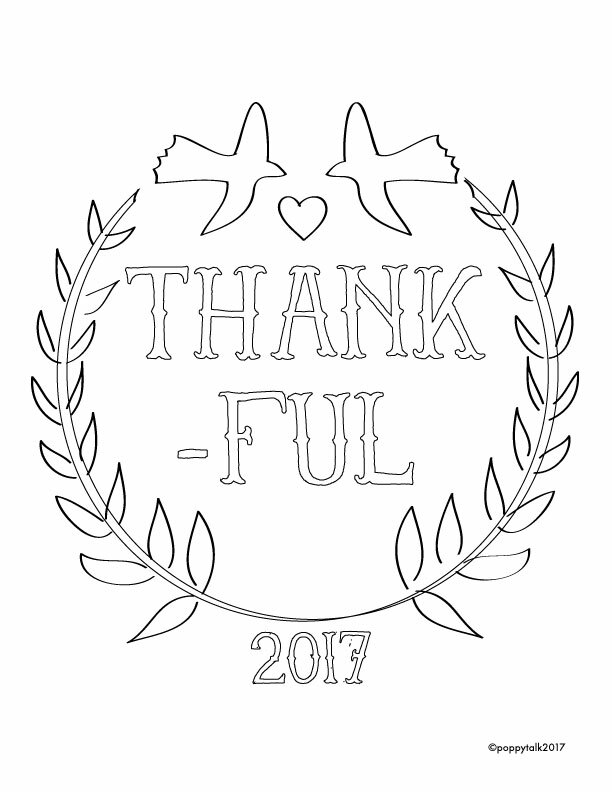 To make this one, first off download and print the pie crust printable stencil and using an xacto knife trace out the stencil, set aside. Meanwhile, remove 1 pie crust from the freezer and let it thaw out a bit (approx. 10 min). Once thawed, remove the crust from the pans and place onto a piece of parchment paper. Cover with another piece of parchment, and flatten, using your hands or a rolling pin. Remove the top piece of parchment and set it aside. Place the printable stencil on top of the crust. Start to trace out each piece, going carefully not to tear the crust. Once all of the stencil has been traced, remove the stencil, and place the parchment back on top. Pull out your pie from the freezer and remove all packaging. Flip the stenciled crust over and remove the bottom parchment, while holding it. Then gently flip the stenciled crust onto the pumpkin pie. Slowly remove the cut out pieces from the crust to reveal it's design. Set aside. 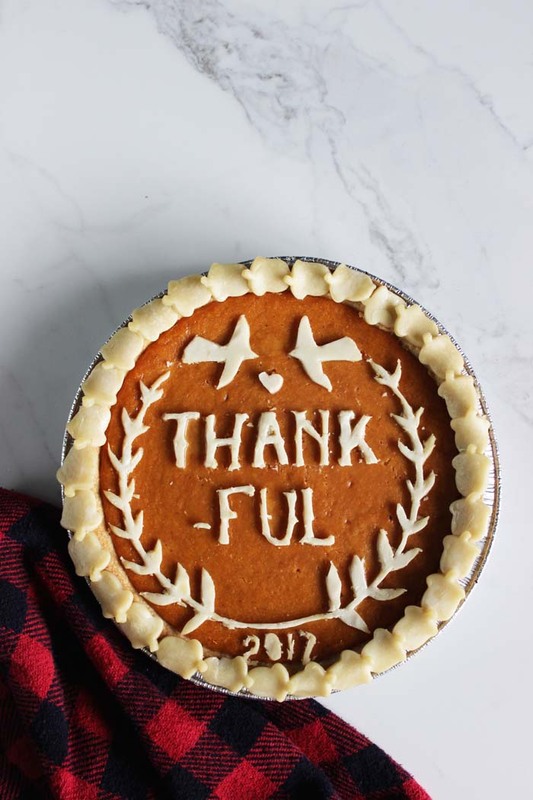 Roll out the remainder crust and using the acorn (or leaf) cookie cutter, cut out enough pieces to cover the entire edge around the pie. Using a brush, egg was the entire edge of the pie. Then place the cut out acorns (leaves) all around the edge of the pie. Then egg wash the rest of the crust. Place into a preheated 400 F oven for approximately 10 minutes or until the crust is browned. Let cool before eating. 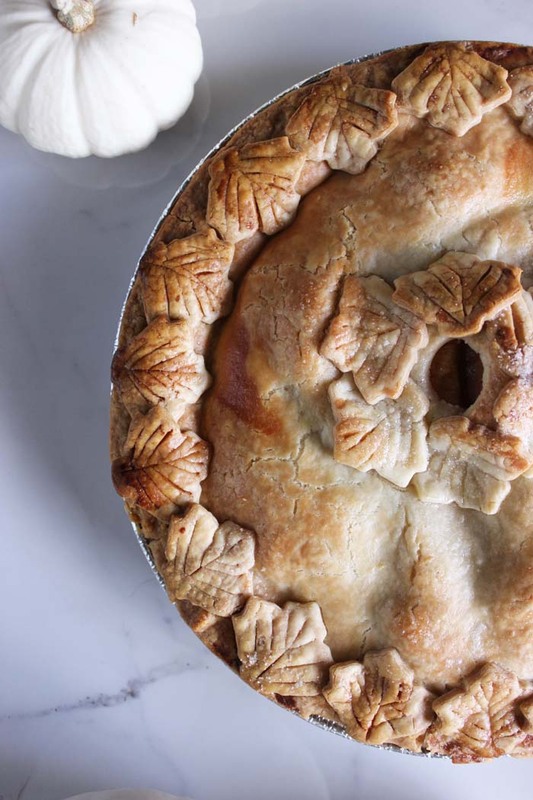 For this pie, remove 1 pie crust from the freezer and let it thaw out a bit (approx. 10 min). Once thawed, remove the crust from the pan and place onto a piece of parchment paper. Cover with another piece of parchment, and flatten, using your hands or a rolling pin. Remove the top piece of parchment and set it aside. 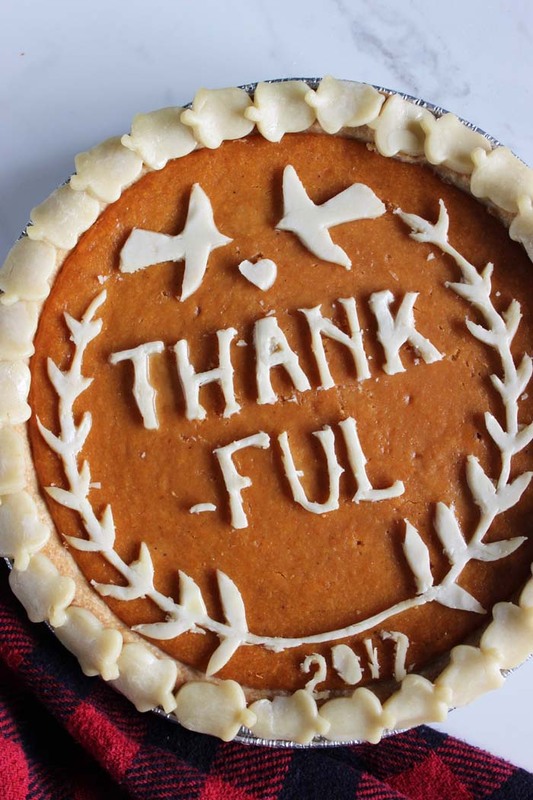 With the leaf cookie cutter, cut out enough pieces to decorate around the edge of the entire pie. And a few extra to decorate the middle. Using a brush, egg was the entire edge of the pie and around the center hole. Then place the cut out leaves all around the edge of the pie and around the center hole. Then egg wash the rest of the crust. Sprinkle with sugar. Place in a preheated 400 F oven and bake per the pie's instructions (approximately 70 minutes) and until the crust is nicely browned. Let cool before eating. Those look great! I would have never guessed that they were frozen pies from the store. Definitely going to save these ideas.